The Aston Martin Rapide Concept was meant to be a rival to cars like the (back then) upcoming Porsche Panamera. It was based on the Aston Martin VH architecture, the Rapide was and still is a car meant to be engineered with power, beauty and sould like most other Aston Martin cars. . The Rapide is meant to be as refined as the DB9, but with an extra pair of roors. The Rapide combines practicality with mind blowing power figures, which really shows that it is a true Aston Martin, a testament to the strength of the timeless brand design language. The Aston Martin Rapide’s four-door body provides greater access to the extended architecture, making it a performance car great for everyday driving. It was shown at the Detroit Auto Show the 9th of January 2006, it produces a stunning 480 horsepower and 595 newton metres of torque sent to the rear wheels from its 6.0L V12 engine. It had a 6-speed automatic gearbox and double wishbone suspension (front and rear), as well as a top speed of 300 km/h (186 mph) and it was able to reach 100 km/h (62 mph) in 5.1 seconds which was not bad considering the car weighed 1940 kg. It was designed by Marek Reichman, who wanted to design the most beautiful four-door car ever made. The line that runs through the Aston Martin Rapide’s bodywork is just one of the things giving the car the appearance of motion even while stationary, this design was something everyone would look at, and most likely never get bored of. The Rapide shares the same line as its other two-door siblings, although when compared with the poised stance of the Vantage with its sprinter-like forward thrust, the Aston Martin Rapide is a long distance runner. Designer Reichman believed that proportion is fundamental to how a car is perceived. 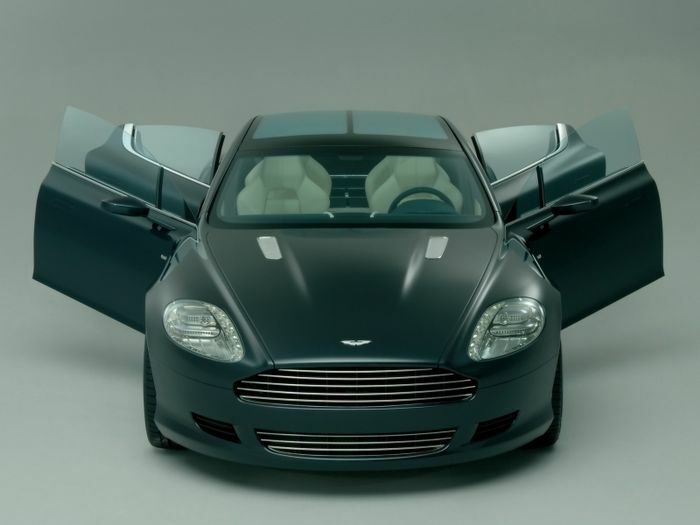 He wanted to make everything on the Aston Martin Rapide work perfectly in harmony, and achieving this required the intuitive skills of Aston Martin’s modelling team, who work with both the raw clay models and their advanced computer modelling. Reichman said that they put character and feeling into the whole surface of it. Full-scale models are viewed in all sorts of different conditions to ensure that the dramatic surface forms remain an integral element of each and every Aston Martin model in the lineup. The VH architecture could be used in many different ways, resulting in lots of possible packaging options, as well as the chemically-bonded structure derived from aircrafts is mated with bodywork that mixes aluminium and composite materials. The architecture’s flexibility is also known for being used in cars like the Aston Martin DBR9 racing car, being combined with carbon-fibre composite body panels to produce a modern race car of rare beauty. The Rapide did a good job at expanding the Aston Martin lineup with something even more practical, and a little more powerful than the base V8 Vantage. The M4 was already in production when this concept was first shown, but it's definetly worth mentioning on this list. Though, the normal M4 also had a concept study. emitting diodes). And both the tail lights and rear direction indicators feature OLED technology, while the illuminated surfaces are positioned to produce a three-dimensional effect. OLEDs also take up less space. 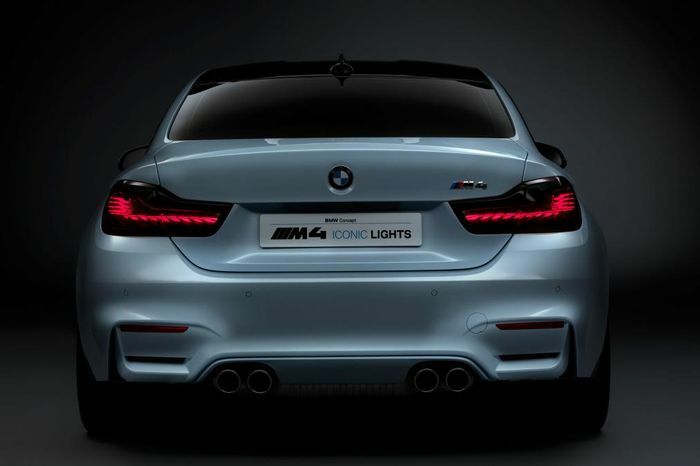 This design study was actually meant to show the facelifted BMW M4 which also features these OLEDs, as well as the identical laser light technology. And these OLED elements are just 1.4 mm thick. They were already standard on the i8 models, which meant that it led to a new light design already back then. This advanced light technology even works with the sat nav system, being able to illuminate 600 metres down the road. And if the safety system detects narrow roads, the laser lights will indicate if the car can get through the gaps. A concept car looking identical to its concept is nothing new these days. But when the TT hit the production line, it was rather special. 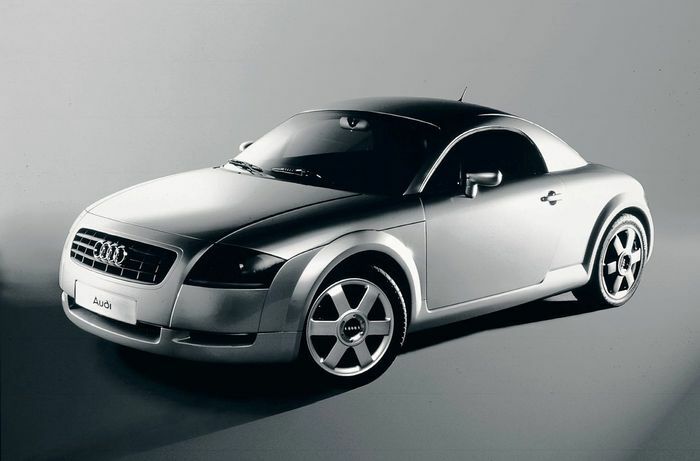 The Audi TT is known for having quite an unusual development history behind it. It was produced by a team of young designers and engineers who wanted to create a 2+2-seater Audi sports car which would be pleasure itself to drive, and a car which would appeal to both the head and the heart. The aim was to create an object of desire which was also affordable, and not just something to dream of. Also, TT stands for Technology & Tradition, dating back from the NSU 1000TT, 1200TT, 60’s TTS and so on. Apart from its open body styling with fixed, integral roll bars over which a fabric soft top can be stretched tent-style, there were still things that made the TTS Roadster differ from the TT Coupé. The S badge for example, even though the 8N TT never got an S variant but only the “225” version which can be considered as the 8N TTS production version that never was. Also, the roadster’s engine is a concept study for a powerful sports version of the 1.8-litre turbocharged unit with five valves per cylinder, it produces 210 horsepower and 250 nm of torque. The Roadster also has 18-inch wheels and side-panel air outlets from the engine compartment, as well as the leather-covered sports seats with thong lacing that suggests baseball gloves. The “plus two” seats at the rear have been deleted to provide space for stowing the soft top. As in all Audis, two airbags are a standard safety feature. Both visual and technical detail had been scrutinised to eliminate the unnecessary and create an effect of substance and maturity. The TT concept studies use Audi ASF aluminium body parts just like the production versions. Acceleration from 0 to 100 km/h takes about 6 seconds, and the top speed is around 240 km/h, average fuel consumption by the standard test method below 9 litres per 100 kilometres which wasn’t bad for the time. This is the TTS roadster version, pay attention to the interior elements and the “S” badge. It was shown as both Coupe and Convertible, and quickly have people an idea of what the next generation mustang would look like. 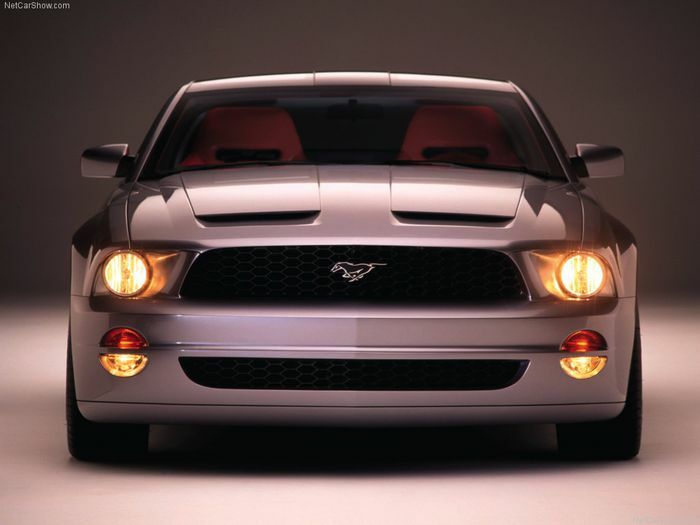 The Ford Mustang GT concept uses many design elements from older mustangs, which meant Ford was going the right way with this. The exterior designs of these concept cars are clearly inspired by some of the classic Mustangs of the past and have been created by a design team that took an introspective approach to updating an iconic design. The design language is timeless, yet reveals the true character of what the Mustang is to all its fans. The original 1964 Ford Mustang actually evolved from the race inspired concept car called the Mustang 1. After reviewing archived files, Mustang’s modern-day crafters were struck by how the original design embraced the same inspirational cues that communicate performance. 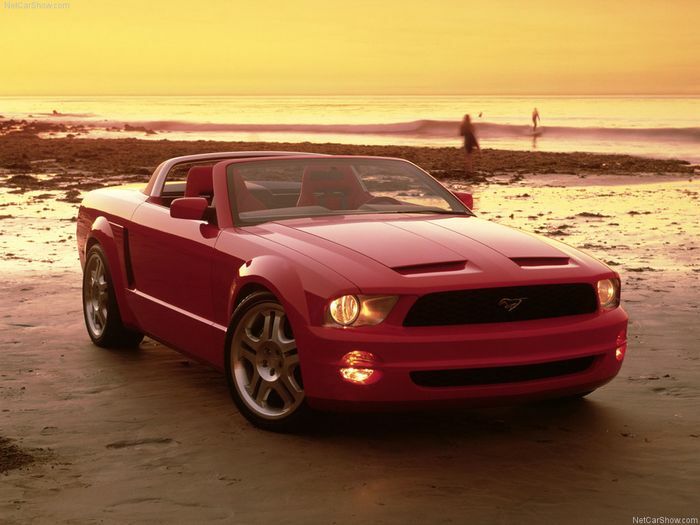 The design team looked beyond production models to the Mustang 1 concept for modern inspiration. Much like the Mustang 1 and the later Mustang Mach 1 show car back in 1968, both of the Ford Mustang GT concepts are exclusive designs that will appeal to every Mustang fan.And inside they haven’t forgotten about the classic Mustangs either, the cockpit is dramatic for both the driver and passenger with lush red and charcoal leather, as well as billet-aluminum hardware. With all these classic design elements, it still feels and looks very modern. The convertible version looks equally as good, and the red interior elements can really be seen on this one. This is a design that will just keep on growing on you. Both of the Ford Mustang GT concepts are easy to notice for any Mustang enthusiast, yet they keep maintaining a very modern look. Like the Mustang 1 concept, the GT concept cars are two-place sportscars traditionally where one a coupe with the other one being a convertible, and both cars started out with a significantly modified Ford Thunderbird rear-wheel-drive architecture. The front-end geometry is pretty much a 100 per cent original, and customized to fit the good old Mustang 4.6L V8. This is the Mustang 1. The Mustang 1 was first seen in the early 60’s. And as mentioned earlier, it was a race-derived 2 seater sports car. The one seen here is from Detroit Auto Show 2014. 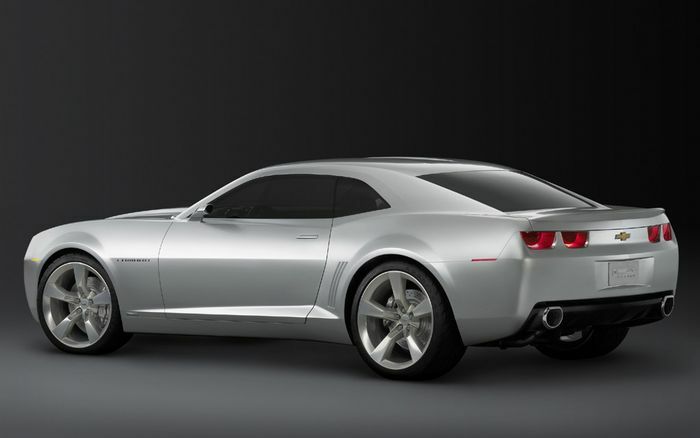 Like the Mustang concept, the Camaro mixes modern design language with hints of a classic icon. Especially the interior. The 1969 Camaro had always been considered one of the best first-generation designs. But as GM design teams worked on alternatives for the Chevrolet Camaro Concept, they also turned to the latest Corvette and to aircraft like the YF-22, seeking a design that encompasses the spirit that made the 1969 Camaro great, but interprets that spirit in a fresh, exciting way. The modern design mixed with classic design shows that this is a performance based, rear wheel coupe packing loads of power. It featured the GM small block LS2 V8 engine which was also found in cars like the Pontiac GTO, it used Active Fuel Management which disables four cylinders under normal driving conditions in order to save fuel, it is very identical to Audi’s cylinder on demand technology. This concept is rated at 400 horsepower, yet the chassis is still beefy enough to handle that kind of power. It had a 6-speed manual gearbox with a good variety of ratios for both power and fuel efficiency, not to mention it can get up to 30 mpg. But what really made the original Camaro an American icon in the first place, was that it was accessible to millions. Chevrolet sold more than 699,000 Camaros in the first three years of production, which is still alot meaning it was a huge milestone. So for every Z-28 taking the checkered flag at the track, there were thousands of less exotic/base spec Camaros cruising the drive-ins, picking up the groceries or taking the family on vacation. This design might not appeal to everyone, but it was still enough to give people a hint of what the next generation GT-R would look like. 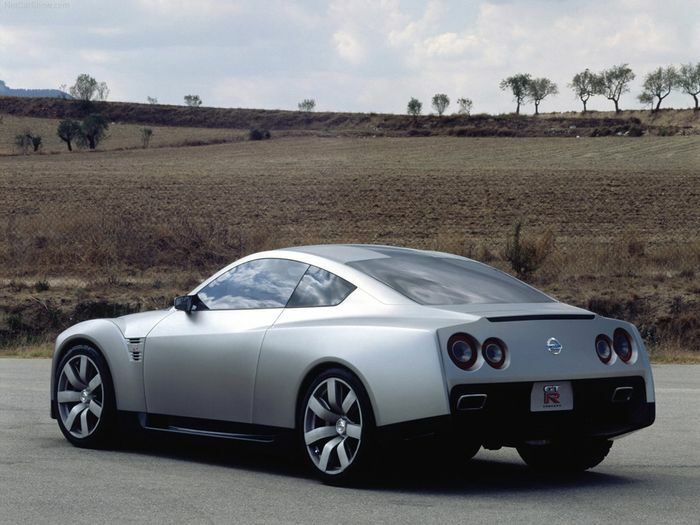 Almost every generationof the Nissan GT-R have always impressed people and all fans. Over the years, the GT-R has continued to be a supreme-performance road-going car that delivers superb driving pleasure by responding faithfully to the driver’s demands. Just sitting in the driver’s seat of the GT-R produces a feeling of excitement that envelops your entire body. But making a good driver’s car means that the car must perform exactly as the driver expects, and be well balanced/good to drive. Meeting this expectation requires a perfect response to the driving actions executed by the driver, and the car must convey accurate information to the driver. In other words, and the driver has to be able to judge the vehicle’s state accurately and instantaneously. And through the response of the accelerator pedal, steering wheel and brake pedal, the driver enjoys the pleasure of controlling the whole car the way he/she wants it. There is a very pure, and race-ish feeling durinb this process, confidently bringing out both the driver’s skill and the car’s maximum potential. Though, no one knows the specs of this car since the answer to all questions at Tokyo Motorshow was no comment when people asked about the specs of it. I spent days on making this post, so I hope you enjoyed! Also don’t forget to comment below the concept cars that YOU think look identical to the production versions!